Be warmly welcomed at The Inn on Mapleton Hill, a 100-year-old haven in an unparalleled location, just a block from downtown Boulder's festive Pearl Street in the tranquil and grand Mapleton Hill historic neighborhood. 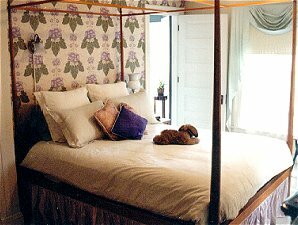 The award-winning inn, dramatically renovated, offers seven rooms, including the Cottonwood suite, which has a private sitting room and balcony with views of the Flatiron peaks. Other rooms feature queen beds, private baths and fireplaces. All accommodations are attractively furnished with antiques. Rates range from $83 to $159, depending on the time of year. Enjoy a complimentary complete breakfast in the Great Room downstairs. Among the menu items: homemade granola, fresh-baked bread, muffins or coffee cake, yogurt, custom-blended coffee, a seasonal fruit salad, and a hot entree. We accept Mastercard, Visa and American Express, traveler's cheques or in-state personal checks. 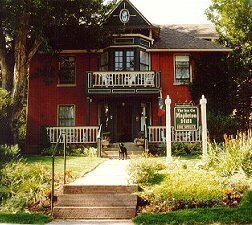 This and other Boulder Bed and Breakfast Inns can be found here in The Register.